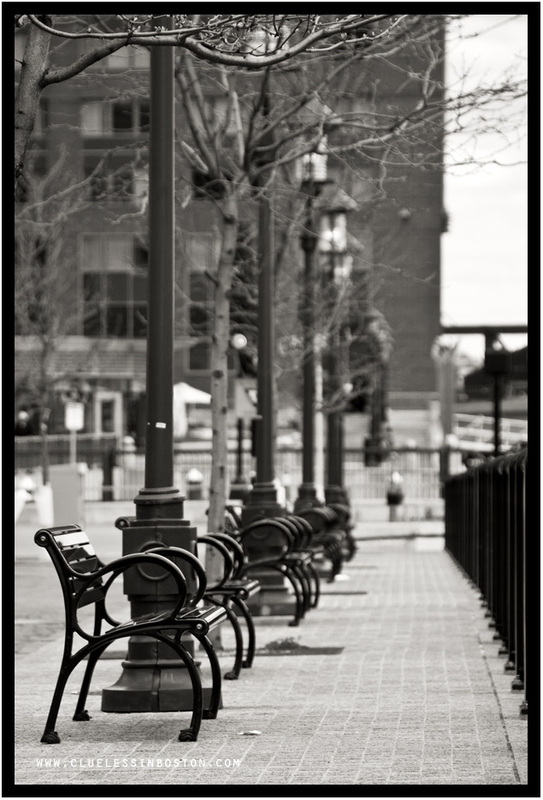 Benches at Fort Point Channel on Dorchester Avenue, near South Station. I love this in monochrome. You've got great lines going on here! Nice shot and certainly a wonderful place to rest for a small talk. Good b&w, I guess it was too early (or too late) for sitting. I loved the angle!Perfect in b&W! Brrr. Looks like a chilly morning in this shot. Must be cold, no people enjoying them. I think I'd need a cushion to sit on one of those. And what are they looking at?!! Beautiful shot! I like the way they line up with the lamp posts. Focus is very good. As is the perspective. I always love your b/w's.